Who knew there would be a Wikipedia page about toilet paper orientation? But I am happy to report that I have finally discovered the correct way to hang the toilet paper roll! The hearts and flowers are upside down when the toilet paper is hung the WRONG way. So, now that I have proof (thank you Northern! 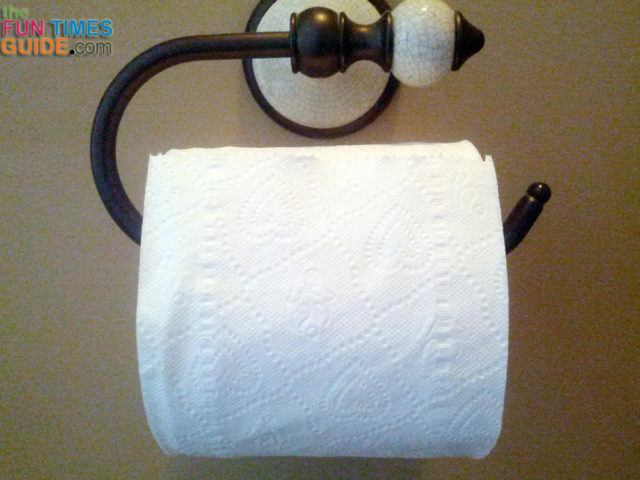 ), my next mission is to get dear hubby to start hanging the toilet paper roll the RIGHT way! 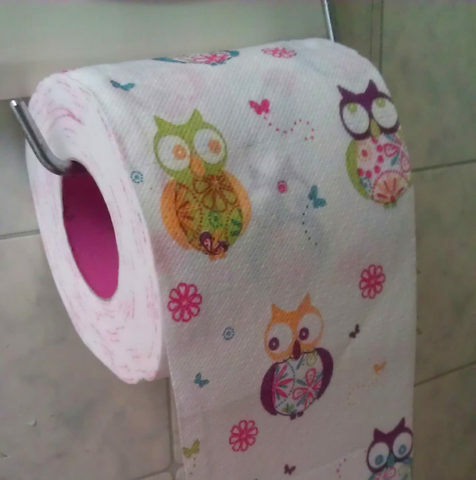 I don’t normally buy this ‘hearts and flowers’ brand of toilet paper. If I did, perhaps hubby (and others) would have caught on long before now and there’d be no debate on the issue. I’ve actually been doing it “right” ever since I moved out of the house and started living on my own. Which is why finding the toilet paper hanging “wrong” somewhere else just seems so… well, wrong! Heck, even the techies at CNet are talking about this topic. So are the geeks at Fast Company. So I’m definitely not alone here. People are putting the most weight in this infographic which, as it turns out, was created by a couple of engineers. Fortunately, there are people to help us with our good hygiene… and good humor! For parents, Cottonelle makes it easy to determine how much toilet paper kids should use. 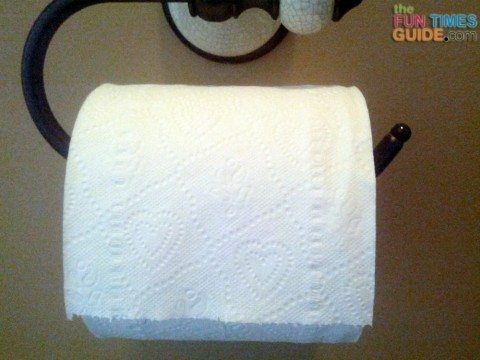 If you have pets (or kids), you may want to turn the toilet paper around the “wrong” way. Here’s why. To prevent people from using too much toilet paper in your house, just squish the cardboard tube inside the roll of toilet paper a little before you put it in the holder. That prevents it from unrolling smoothly and makes it more difficult to get a bunch off the roll. Check out these little-known facts about bathroom behaviors & toilet paper. Here are literally hundreds of fun things you can do with toilet paper rolls made of cardboard. How do you store your toilet paper? These Peterboro toilet paper baskets are quite cute.